Suffering from acne? Have you tried every magic cream and pill on the market to no avail? Do you want the real solution to clear skin? This book is the real deal, no gimmicks or insidious marketing ploy to push pharmaceutical or cosmetic products.You will learn all that you need to know to combat the skin disease known as acne, plaguing most of the western and industrialized world. 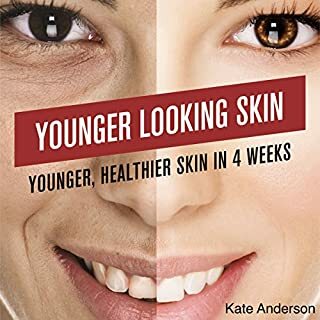 Kate Anderson brings you the latest edition of her best-selling guide on getting younger-looking skin...and keeping it! This book provides easy to follow steps to give you healthier, fresher, younger looking skin. Awesome book, started seeing results really quick! How to have clear skin, The Acne Cure is out now! If you're someone who has acne problems that are negatively affecting your life, this audiobook is for you! If you want to live a happy, fulfilling life, then stop waiting and start listening! You’re about to discover how to live a happy life with clear skin. You will learn different forms of treatment that will enable you start feeling free of acne. 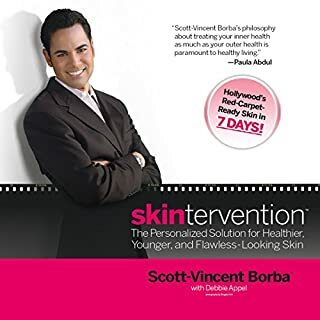 When the rich and famous need to look red-carpet-ready, they call Scott-Vincent Borba, celebrity esthetician and skin-care pioneer. Why? Because Borba knows beauty, and his revolutionary approach can transform your skin whether you're battling wrinkles and brown spots, cellulite and menopausal breakouts, or clogged pores and blackheads. Skintervention shows you how to dig deeper (literally) - from your pantry to your products - to find your unique skin-care solution and the glowing skin that goes with it. "Would you like to know how to conquer acne once and for all? Whether you want to (1) get rid of embarrassing acne, (2) discover the best treatments that work for you, or (3) learn how to prevent future outbreaks , this book will teach you everything you need to know. Learn what causes acne and how to stop it from appearing. Discover the many causes behind acne outbreaks so you will know what not to do and what to avoid. Learn to avoid common mistakes people make when treating acne and discover practical, easy-to-implement strategies that work great. Start doing what works today to lay the foundation for acne-free living! Find solutions and treatments for acne that really work. 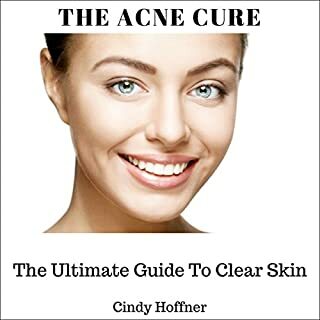 This book will help you get rid of even the most severe cases of acne, so that you can have clear, smooth, healthy skin! Take the mystery and pain out of acne and start fighting it like a pro. 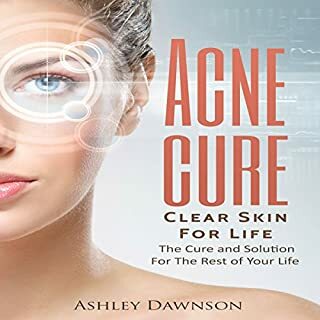 From all-natural methods proven to work effectively to the best solutions of modern medicine, this book tells you exactly what you can to do to take care of your acne problems for good! Discover the best all-natural cures. While modern medicine has provided advanced treatment, especially for cases of deep scarring, Nature has provided us with powerful treatments that are readily available. They can be highly effective at treating acne, repairing your skin, and preventing future outbreaks. 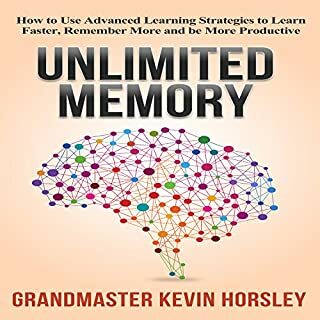 I have included simple remedies that have helped me, along with strategies that have been the most helpful to the most people. Clear up troublesome acne now and prevent it from coming back! Reclaim your radiant face: buy it now! The advice given about dairy alone deserves this review. Dairy is a big corporate that you need to remove from your diet to clear your skin. there's tons of research backing this up and many people that would agree with this statement. Effective tips on how to treat acne! Would you consider the audio edition of Acne to be better than the print version? No, I prefer to read the content in this title. What was one of the most memorable moments of Acne? There are no particularly memorable moments in the title although it does have a lot of great tips to help you get rid of acne that you wouldn't normally think of. Regularly cleaning and moisturizing the skin in order to reduce dirt build-up and other things. I think that for anyone who is dealing with acne, this is the book for you. It has many great tips and techniques in this title that can help you get rid of symptoms associated with severe acne or any other type of brash skin condition. There are several natural ways that you can go about alleviating symptoms associated with acne and this book provides some of the most effective ones. I would highly recommend this title to anyone who is in need of help with getting rid of acne or any other severe skin condition in order to put your mind at ease and boost your confidence. Time to kick off Acne! Acne is a common skin disease that affects most people and can persist into your older self. I bought this book so that I could understand Acne and have perfect knowledge about it,true to say I have learned a lot. It talks about acne treatment such as resorcinol,benzoyle peroxide,sulphur,azelaic acid among many others that have been explained and their importance stated. Serious acne problems might need certain surgical procedures but acne removal should be a last resort. The best part is learning that you can treat acne from home that is home remedies. This home remedies are quite easy to find and not complicated. They help people with acne to get rid of their breakouts,this remedies include,fresh grapes,cucumber,honey,orange peel,Aloe Vera,tea tree oil and many more that you can choose from. There some great natural face masks for acne with easy recipes. With patience and persistence you can overcome acne once and for all. I highly recommend! Learn how to treat acne multiple different ways. From foods, to natural, to chemicals, clean your skin and rid acne for good. There are some great tips and my skin is looking clearer now. McCloud shows that acne can be treated and even eliminated with this ebook. He offers tips on taking care of your skin, including a good wash routine that's easy to follow. He also mentions the kinds of products you should use to maximize your skin care regimen. Finally, he offers great advice on other homemade techniques that you can use to maintain clear skin while telling you what foods you should avoid. It seems that acne runs in the family, even at different ages a lot of us struggle with bad skin problems. We have used a lot of different treatments through the years but with very little instruction and most have had a very limited impact. 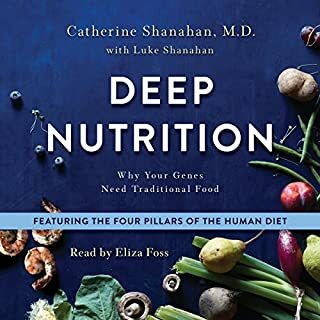 After listening to this audiobook I realised that I have been guilty of a lot of the common mistakes made in acne treatment and hence have prevented the full effectiveness of over the counter medications. I particularly enjoyed learning what natural products can be used to calm irritation and reduce inflammation and am really looking forward to trying them out. My skin feels refreshed just thinking about them! very good clear easy to listen on how to inexpensively have the acne cure/acne remedy some may even say the acne treatment! Thank you for this book it has helped me clear up my face great skin care treatment! Acne - cheap and effective treatment! 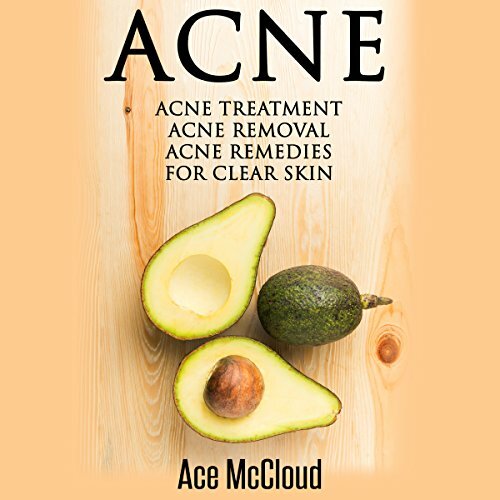 ‘Acne’ by Ace McCloud is a very good guide especially for teenagers and older people who find acne as a big problem. Ace shows that acne is a medical problem that can be successfully cure. Instead of doing your own treatment in front of mirror you can find real medical treatment like antibiotics, salicylic acid, oral solutions. It is a really good clue to go to dermatologist to find what is a reason for your acne and how to help. You will be surprise how medicine go ahead and how many treatments are available. Ace did a great job to inform readers about many treatments options. Very important is a good diet and health practice. I like idea of very gentle make-up and very good make-up remover habit. I like especially the home remedies like cucumber face mask and others very easy and cheap mask that you can do to help your skin. I like recipes provided by Ace. Really helpful and professional! This book is an excellent guide on how to treat acne, prevent them and control them. Inside given are different ways you can try in order to treat acne successfully as well as suggested cosmetic products that can really help you. I especially liked the home remedies suggested by the author, it just gives you more options to keep you skin healthy. I immediately tried the blueberry banana smoothie recipe and it tasted superb. I would definitely recommend this book if your goal is to have a clean, blemish free face.